UPDATE 3: DO YOU WANT CURT TO GIVE YOU $500? 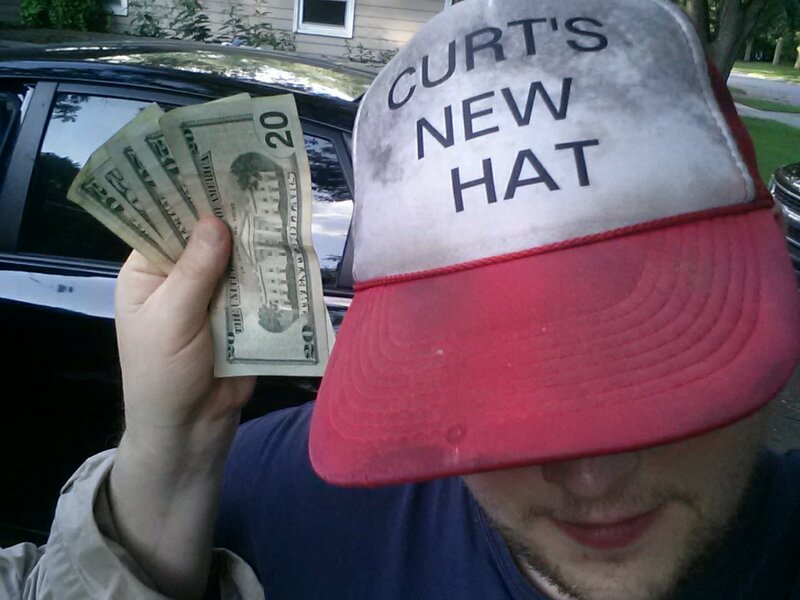 UPDATE: Curt's New Hat has gotten a little dirty! This hat has been through a lot. It has been in countless lakes, rivers, and ponds, an ocean, has had beer and many other things spilled on it, was thrown on top of an elevator shaft and covered with years of L.A. Metro grime, dunked in a korean spa bath where thousands of naked men have stewed, and has been worn almost constantly by a fella who rarely showers and sweats most of the time. Curt set a rule at the beginning of this that he could not do anything to the hat besides wear it. Whatever happens happens. This includes washing it. Clearly it's due for a clean. That's where you come in. Curt's dad has already promised to donate $100 if he washes it, and will match any donations you make to Public Space One up to $300. Curt will only wash it if this goal is met. 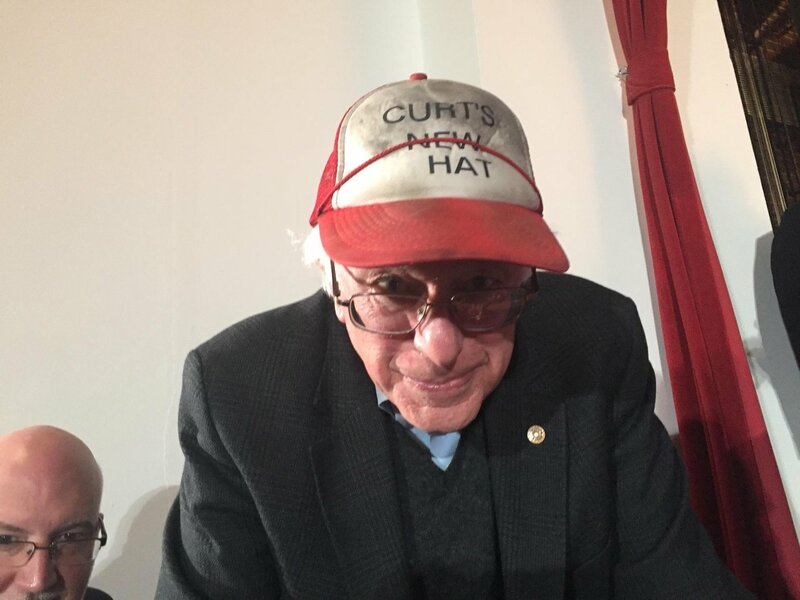 Let's help make Curt's Hat New again!!! 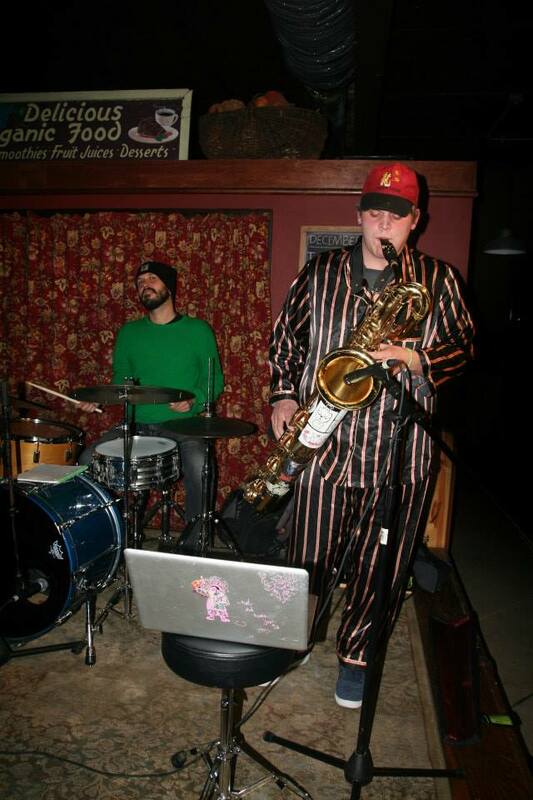 Curt Oren is a friend, musician, and above all else, jokester. He�s been making jokes for as long as I can remember. At first they started off small. 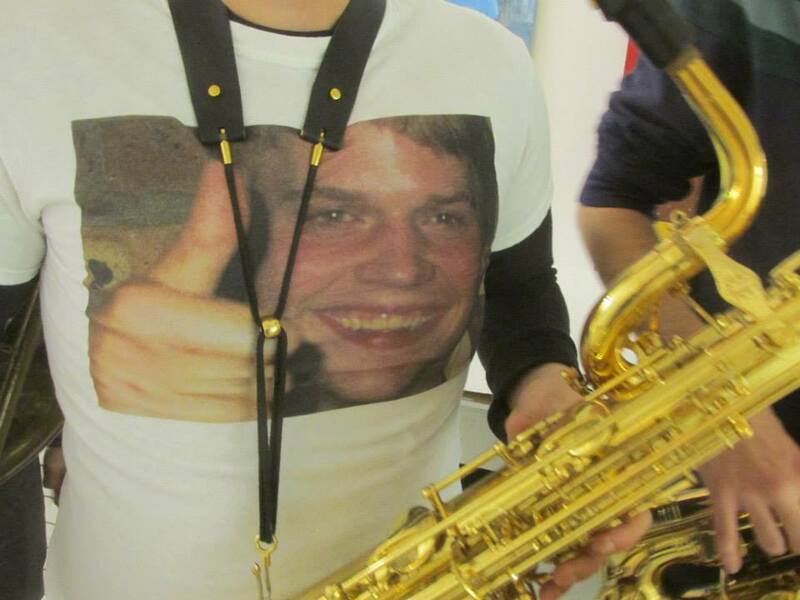 A shirt with his own face on it. Changing his name to Kimpi Kollege on facebook. You know, little stuff. Then he met a guy on the street and made a video where 100 people asked this stranger to come to film club. Then he wore the same striped pajamas for 18 straight days and broke 2 phones cuz the PJs didn�t have pockets. Then he waged a fabricated smear campaign against planet fitness for an entire month. Things were starting to get a little out of hand. Then he got a new hat. We all thought, �What�s the harm in a new hat? 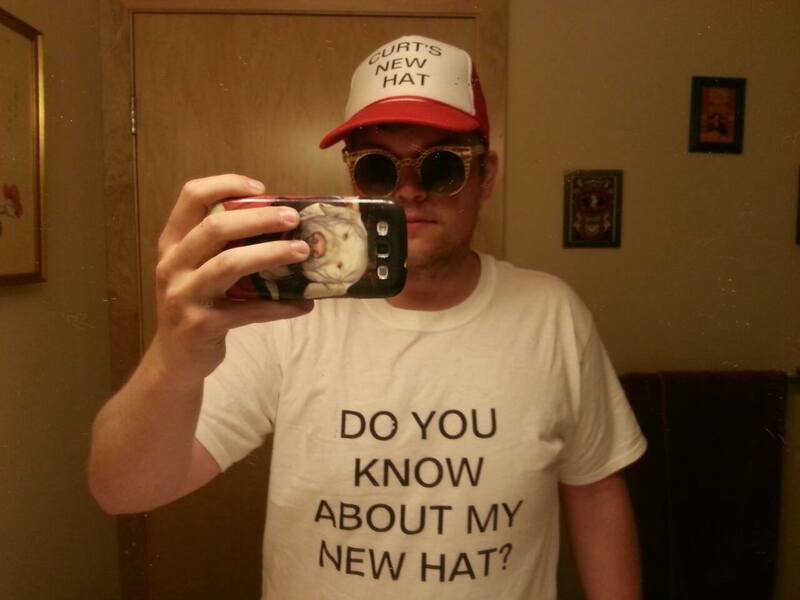 What could he possibly do with that?� Then he got the shirt. �DO YOU KNOW ABOUT MY NEW HAT?� It said. 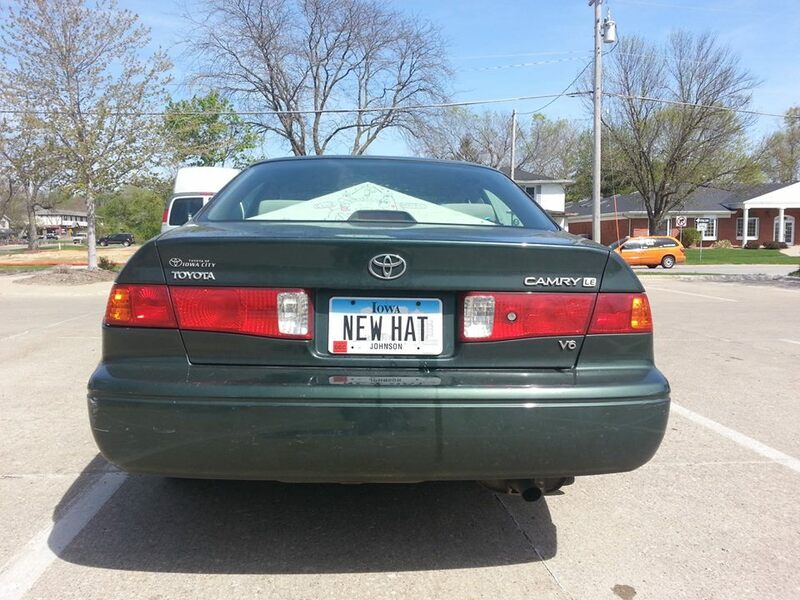 Then the license plate came. NEW HAT. We all thought OK. This must be it. Where else could he possibly go with this? He doesn�t have a lot of money, what else could he possibly do? Then as I was driving along interstate 380 I saw it. I didn�t believe my eyes at first, but there it was. A billboard that said �DO YOU KNOW ABOUT CURT�S NEW HAT?� I called my friend immediately, as I was concerned. Through tears I could hear Curt say �it�s gone. All of it. 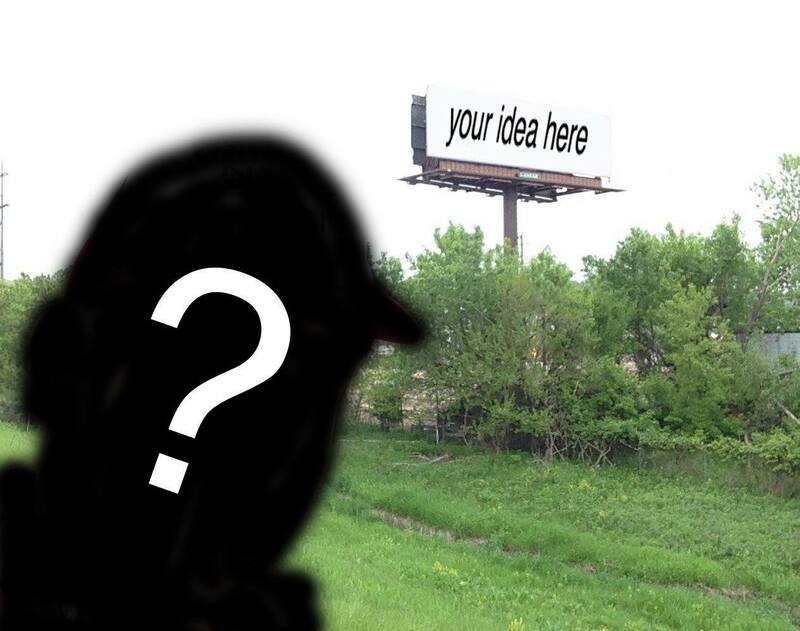 Gone.� He had spent every dime he had on a stupid billboard. A billboard of an inside joke that not even all of his close friends thought was all that funny, to be honest. I love my friend Curt, which is why I want to help him. He can�t do this alone. We can�t do this alone. We need your help so my dear friend Curt can get back on his feet. He�s leaving for tour soon so won�t be able to find a real job, and that�s why we�ve decided to turn to donations for help. Anything you could spare would go so far to help Curt be able to buy groceries, put gas in his tank, and pick up where his life left off. Before the billboard. Before all of this New Hat nonsense consumed him. Joke addiction is real. It destroys lives. Sure, jokes are funny. But it�s all fun and games until someone gets hurt. A vast majority of the donations will go to fund the Curt Oren Memorial Institute for Comedic Safety, a division of Public Space One, an Iowa City non-profit arts organization. The remainder of the donations will go towards Curt's rehabilition and prevention of future relapses. 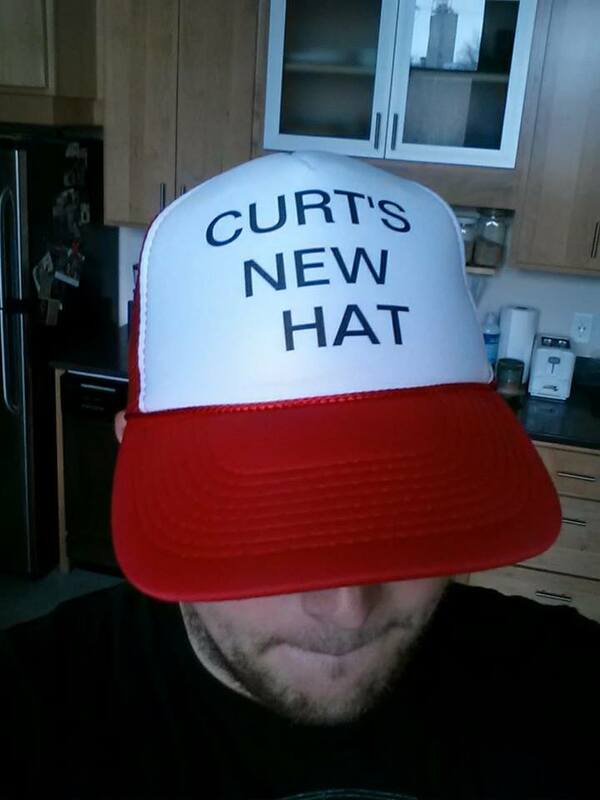 Do YOU want to know about Curt's New Hat? Please get in contact with Curt at 319-321-7512, or if his phone bill hasn't been paid off, you can email him at curt.oren@gmail.com.